When I think of buckwheat; I think of pancakes I had years ago. They were light fluffy and very tender. It made me ask; What is buckwheat? where does it come from? What can I make with it (besides pancakes)? How do I cook with it? Despite the name buckwheat is no wheat at all; in fact it is not even a grain. It is a seed that is related to the rhubarb plant. It is a hearty plant that will grow most places. It grows fast, it grows to seed in about six weeks. 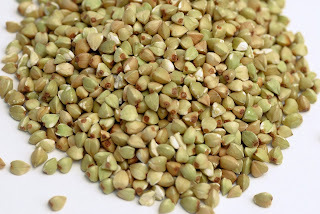 This tiny triangular seed is packed full of fiber and nutrients and is cooked and used as a grain would be. Kasha, what is that? 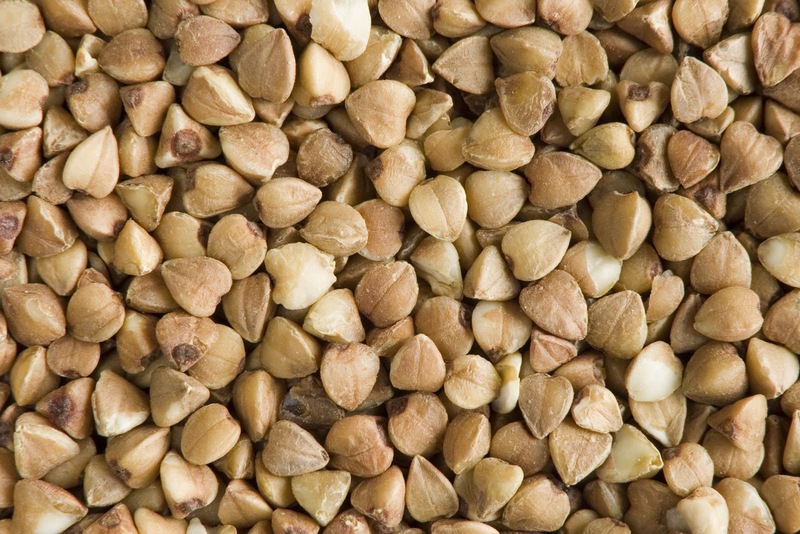 Kasha is nothing more than toasted buckwheat seeds (or groats). Many people say that the seeds must be toasted. I agree. What does one do with buckwheat or kasha? In russia they make a dish called kasha varnishkes, a traditional dish of buckwheat groats, bowtie pasta, onions and mushrooms. Soba noodles are popular in Japan. 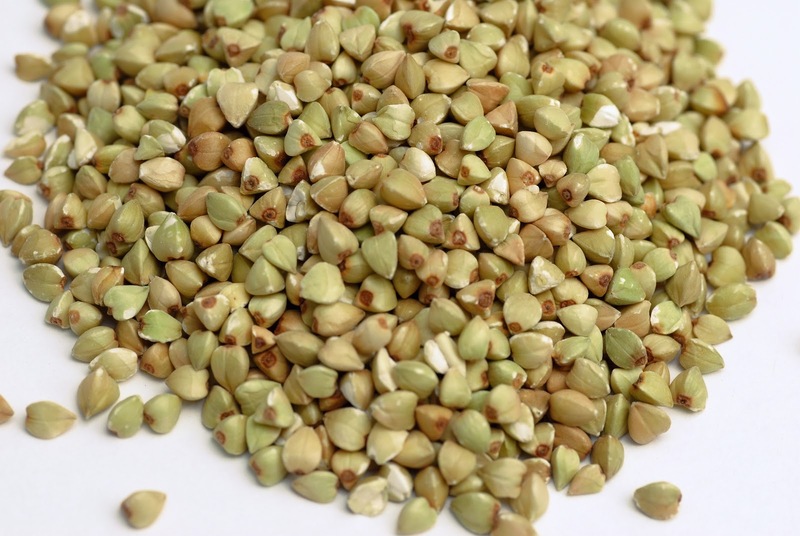 Many cultures eat buckwheat as a hot cereal. 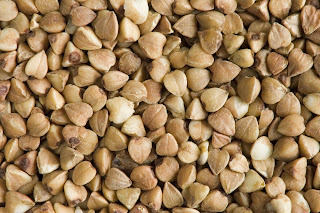 Buckwheat can be put into soups, salads, pilafs etc. It is easily ground into flour and used in many gluten free baked goods. Recipe land has 93 recipes for buckwheat I am sure that you can be inspired by one of those recipes. Cooking buckwheat is super easy and takes just a few minutes to cook making it a great choice for those in a hurry to get dinner on the table. 1. spread the buckwheat on a baking sheet and sort through it breifly, making sure to remove any husks, or other things that do not belong. 2. If the buckwheat is not toasted you can do this by placing in a hot dry skillet and cooking over a medium high heat for a minute or two until the color starts to darken and you smell a toasty popcorn smell. 3. Place the buckwheat and liquid into a medium sized saucepan with a lid. Bring to a boil, then cover and lower the heat. Simmer until the liquid is absorbed. This should take 10-12 minutes. Do NOT overcook you will get mushy brown yuck stuff. Once cooked it can be held in the fridge for several days. It can be warmed and eaten as a breakfast cereal, tossed into soups, or salads. the possibilities are wide open. I would encourage you to try this wonderful food. Hope you have a fabulous week and thank you so much for sharing with Full Plate Thursday. The appearance looks alot like nuts. Does it contain protein like them? Thanks for sharing at A Humble Bumble! My husband has been bugging for me to buy some buckwheat so he can have buckwheat pancakes again. I have never tried them but I do need to do that. It is interesting that there are other ways to eat them as well. I will have to check it out! I had no idea buckwheat was not a grain! I've never cooked with it, but I have eaten buckwheat pancakes and thoroughly enjoyed them. Thank you for sharing this interesting post with the Hearth and Soul hop.